Lorene Scott was born on November 22, 1926, in Meeker, Oklahoma, to Rosa Mae and Benjamin Harrison Scott. She was their third child, baby sister to Kenneth and Mary. Later two brothers would be added to the family–Glenn and George. The family moved to Arizona and Lorene grew up in Peoria. Like all families during the depression, the Scotts struggled to meet their daily needs. But strength and determination carried them through those trying times. Attending Peoria High School, Lorene was the pitcher for the softball team. With the team, she traveled the state playing against other high schools. She said that when her team played Jerome High School which was perched on the edge of Mingus Mountain, if someone hit a home run, the ball landed in Clarkdale, the town below. As a teenager, Lorene had a job at the local drug store working at the fountain. Everyday, she rushed from school to get there before the other kids. Because she knew what each one would order, she had things ready when they arrived. Those who didn’t have any money ordered a pine float–a glass of water with a toothpick in it. Gene Autry, a western singer and movie star of the time, owned the juke box in the drug store. When he came in to change the records, Lorene asked him to remove “Tweedle o’ Twill” a song with lots of yodeling that drove her crazy. Gene Autry lifted the five-foot, ninety pound girl and set her up on the counter. Then he put a coin in the juke box and played “Tweedle o’ Twill.” But after that, he did take it out as Lorene requested. On August 1, 1946, Lorene married George Owen Morgan. Two years later, their first child, Rosemary, was born in Phoenix. Shortly after that the family moved to Idaho, where George farmed with his brother Ed. As I was much too young to remember those days, I can only rely on what my mother has told me. Apparently I was a daddy’s girl, going out with my dad on his horse as often as he would take me. 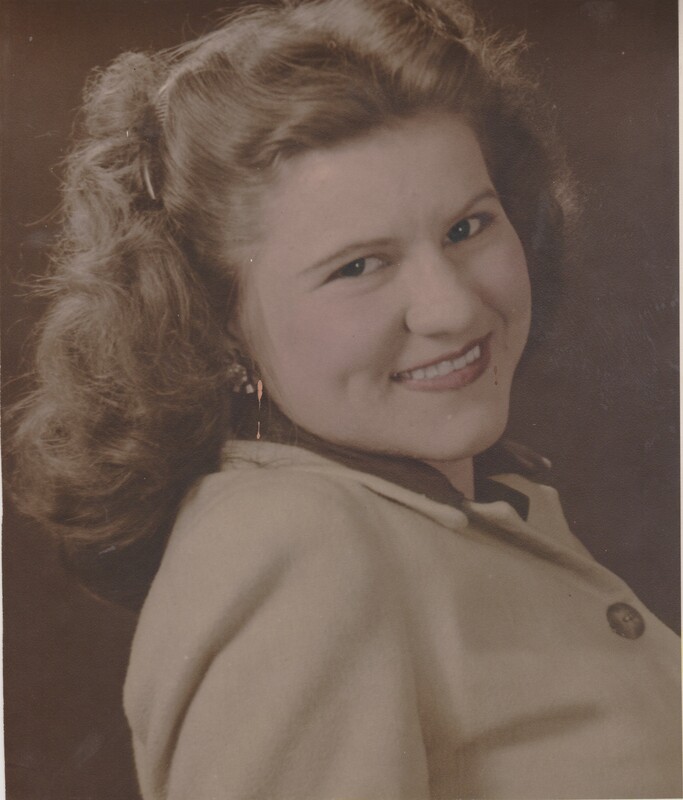 My sister, Shirley, was born in Idaho, but soon after that we returned to live in Arizona. In March, 1952, George and Lorene were expecting their third child. Unfortunately, little JoAnne passed away at birth. Saddened by the loss of their little daughter, George and Lorene supported each other and carried on. But just one month later, George was in the hospital for a surgical procedure. The procedure did not go well and a few days later, Lorene lost him as well. So much loss in so short a time would be difficult for anyone. But Lorene had two small daughters to care for. Her parents supported her during that time and built a small house behind their own for us to live in. My earliest memories are of living in that house in Glendale. 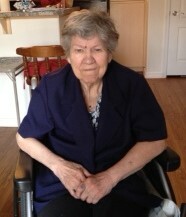 Lorene went to work at Co-op Dairy to support her family. It was there that she met Richard Ebersole. They were married and we all moved to Phoenix. After my brother, Rick, was born we moved to a larger house on Rose Lane and Eleventh Avenue. That was the home I grew up in. Shirley was married in 1969, and I followed the next year. Our parents were looking forward to their retirement years when Richard was diagnosed with Leukemia. He passed away in March, 1971. Alone again, with just my brother left at home, Lorene had to call on her inner strength. After twenty-seven years working for Carnation Dairy, she decided to retire. Taking her pension, she invested in a business. In spite of her hard work and determination, the business failed. But being the strong person she is, Lorene pulled herself together and found a job with Circle K. With her leadership skills, she soon became the manager of a store. She continued to work for Circle K until she retired at the age of seventy-five. I feel fortunate to have such an outstanding role model in my life. My mother has always been a strong, independent woman. She has overcome so many tragedies, any one of which would have crushed a weaker person. But each time, she rose above the situation and stood on her own two feet, caring for her family with love and determination. To me she will always be the lovely Lorene.